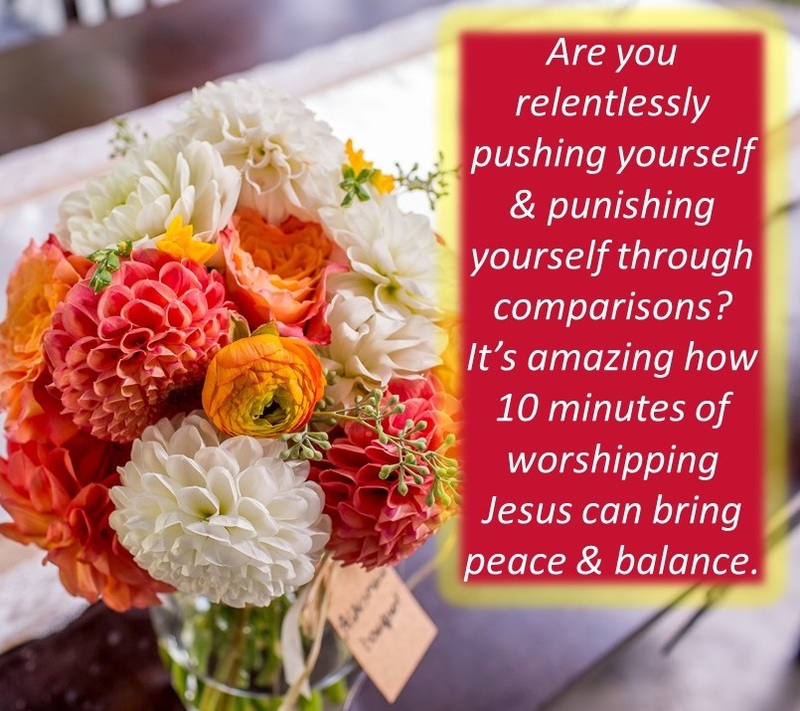 Step out from under the weight of comparisons! 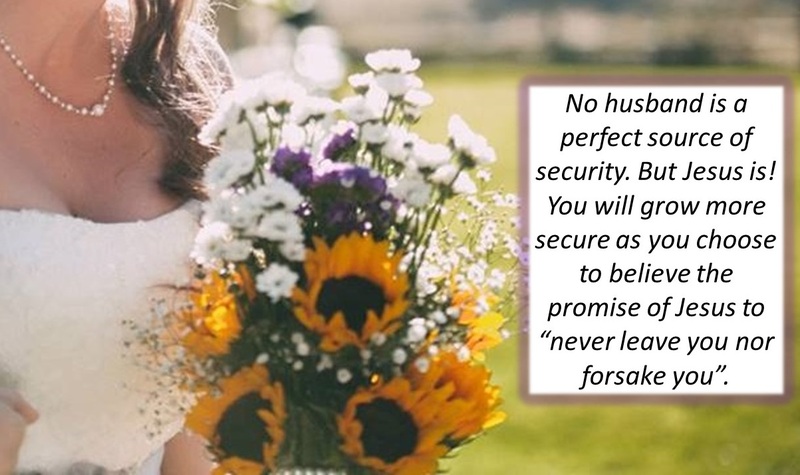 It is so incredibly easy to get out of balance as a wife, a mother, an employee, a ministry leader, a homemaker, a boss, etc. We can let our “roles” consume us. We compare ourselves to other women in those roles and feel we’re somehow lacking. Then we start picking up self-help books, we google “how to become a better __________”, we attend classes and workshops, we beat ourselves up for not being as “good” as other women, we relentlessly push ourselves to be better! And the whole time, we push our relationship with God farther and farther away. I mean, who even has time for God when we are completely focused on being the best ___________. I find when I spend time worshiping God and spending some quiet moments just sitting with Him, I gain a whole new perspective on what’s important. I am better able to choose how to use my limited time and energy. I don’t feel so driven to compete with the other wives and moms and ministry leaders. Spend 10 minutes every day this week simply worshiping God. Crank up the worship music if that helps. As you focus on the majesty and love of Christ, you will develop a heart posture that brings balance….and peace. I’m a fairly confident, secure woman….most of the time. 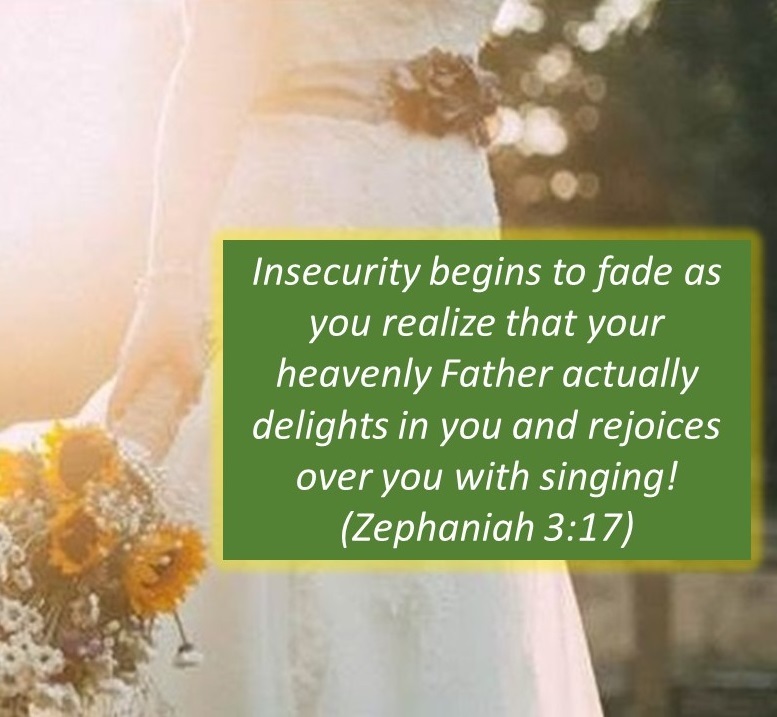 But there are still moments where that awful insecurity shows up. How about you? For me, it often relates to the way I look. Am I really attractive enough to keep my husband’s interest? Sometimes, I’m insecure in terms of whether friends or even relatives really like me. Ugh. I hate feeling so insecure! So, how do we become more secure? Well, for me, it means turning to God for my “value”. I need to remember the only audience that really matters is an audience of one. God is the one with whom I will spend eternity. He is the one who created me to be in relationship with Him. He is really the only one I need to please, and what he says about me is really all that matters. Meditate on these Scriptures and if you’re anything like me, you will feel a warm blanket of security envelop you. 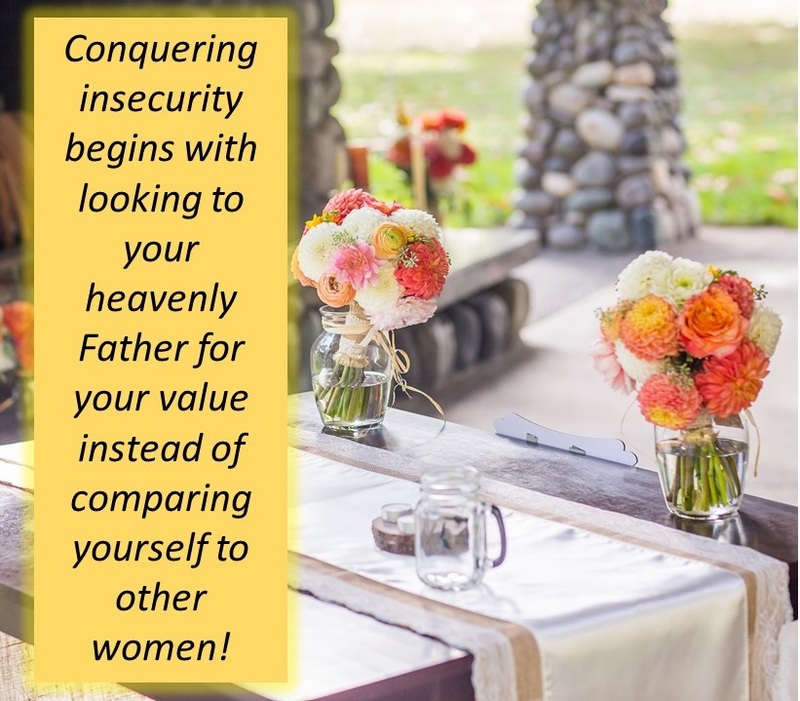 In order for you and I to become confident, dignified wives who refuse to put up with disrespect or abuse, we must begin to see ourselves the way God sees us. Emotionally-bruising words may have been spoken to you as a child and those hurtful words can easily become your identity. Perhaps you made some major mistakes as a teen or young woman, and you started calling yourself a loser or hopeless or unlovable. 2) Be still and ask God to whisper a word to your spirit about how he sees you. Have faith that He WILL speak to you. Be receptive, and listen. He loves you!